The Ariège department in the Midi-Pyrénées is one of the least populated and most unspoiled in France, with massively diverse geography. Moving south through the region the flat plains in the north give way to the Pyrenean foothills and then the high mountains with many over 3000m close to the Spanish and Andorran borders. 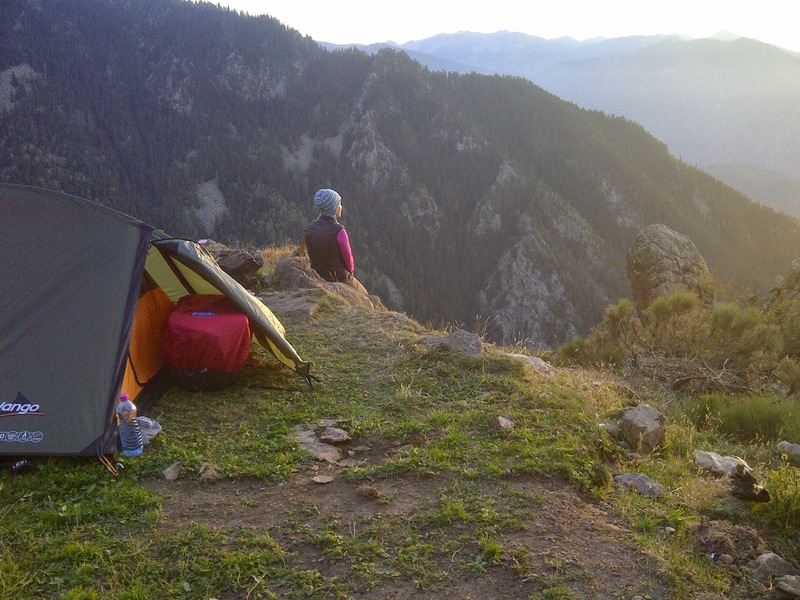 We had several basecamps in the Ariège: Tarascon-sur-Ariege, Ax-les-Thermes and l'Hospitalet-pres-l'Andorre and discovered an area of stunning natural beauty that was perfect for disappearing into the hills on the dense network of waymarked hiking trails. We've listed the hikes that we tackled below, along with suggestions for other routes and longer itineraries. With a spectacular valley approach in a deep glacial bowl the trail (GR7) to the Refuge d'En Beys rises gently at first. About halfway to the refuge the trail crosses a stream and enters a wooded section, rising much more steeply beneath sheer cliffs, before traversing to a hanging valley with an amazing lake and the refuge nestled on the shore. The setting for this refuge is stunning, with a gigantic bowl of rock ringed around the water surface. A tough hike, with over 1000m of ascent, but perfect for getting deep into the Pyrenean wilderness. Starting out at relatively high altitude there is only 700m of climbing required to reach this refuge, much of which is completed in the first half of the walk. The trail (a GR107 variant) tracks along a ledge high above the main road in the valley far below before turning deep into the hills towards a secluded reservoir which creates an idyllic mountain scene. The refuge is a little way past the lake, with the final 100m of climbing to tackle, but the views back along the valley are worth extra effort. Perhaps the greatest hike we enjoyed during our time in the Pyrenees in 2014. A stiff climb out of l'Hospitalet-pres-l'Andorre (on the GR HRP variant) carries you to a fork in the trail. From here you can go either way to complete a loop taking in both of these pretty valleys connected by a high col (Porteille du Siscar) at 2440m. (Alternatively the option to carry on to the Refuge de Rulhe (2185m) along the GR HRP from the end of the Val d'Arques is also signed). The mountain panoramas this walk includes are sheer and precipitous, marking the border between France and Andorra. With over 1000m of climbing this is a hard hike, but the incredible views made it fly by. Running nearby the GR7, which extends 3300km all the way from the south coast of Spain to Alsace in France, makes it's Pyrenean crossing through the Ariege-Pyrenees, intersecting the GR10 just a few kilometres to the east of Refuge des Besines. There are also some GR variant routes. The Haute Route Pyrénées (HRP) tracks close to the GR10, but takes in some of the highest, most challenging passes, while the the GR107 stays close to the GR7, but a little further west. Both of these variants pass through l'Hospital-pres-l'Andorre. It is possible to follow the GR107 north along the Haute Vallee de l'Ariege to Merens-les-Vals, before turning east to pick up the GR10 and loop back to the Refuge des Besines en route to l'Hospital-pres-l'Andorre. This is a long loop, perhaps best suited to a long summer day for experienced hikers, or broken into 2 parts with an overnight stay at the refuge. Following the HRP trail up the Val d'Arques, it is possible to keep heading north-west through some of the most remote and extreme terrain in the region, including a few hundred metres in Andorra, to reach the Refuge de Rulhe at 2185m. This is a long hike so perhaps best done with an overnight stay. To return to l'Hospital-pres-l'Andorre you could either retrace your steps, or head north-east to Merens-les-Vals on the GR10 before following the GR107 north. For a shorter walk you could follow the GR107 south, heading straight from the village centre up towards the Col de Puymorens at 1920m. With 500m of ascending on well marked tracks this is a moderate out and back walk.